Timeless and fun, polka dots and stripes in desaturated offerings have taken the Spring collections by storm. 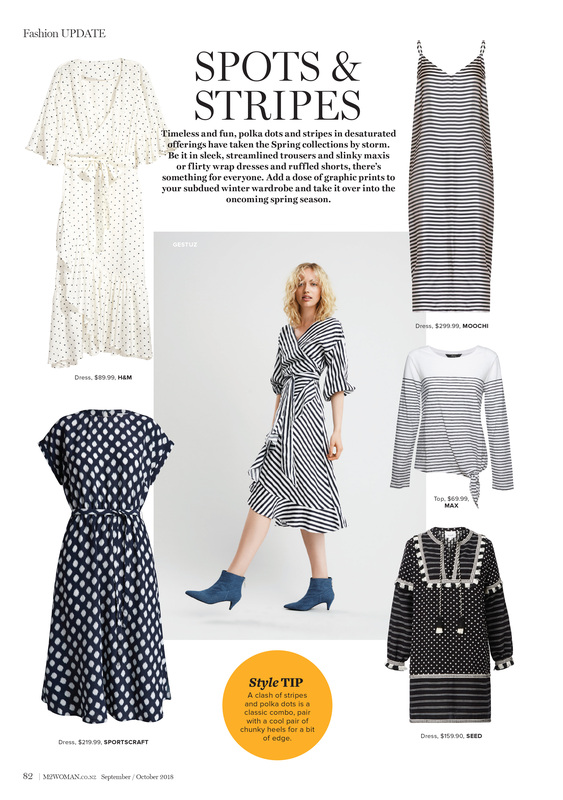 Be it sleek, streamlined trousers and slinky maxis or flirty wrap dresses and ruffled shorts, there’s something for everyone. Add a dose of graphic prints to your subdued winter wardrobe and take it over into the spring oncoming season.